Driving home this evening, I could have sworn we had it all worked out. You had this boy believing, way beyond the shadow of a doubt. Well I heard it on the street, I heard you might have found somebody new. Well who is he baby, who is he and tell me what he means to you. Dube, Valimaki, Foo, Klimchuk, Lomberg, Pollock, Rittich, Poirier, Shinkaruk and Wotherspoon. While for Bryan Adams, the re-assignment of those 10 players -- Dillon Dube and Juuso Valimaki to junior, the other eight to Stockton -- may have felt so right, this is one of those times where I was mistaken. In particular. I thought 2013 first rounder Emile Poirier would stick around a little longer. For me, this wouldn't be the first time things have gone astray. Instead, Poirier along with Tyler Wotherspoon and Hunter Shinkaruk were all placed on waivers. Should they go unclaimed, they will head to Stockton on Wednesday morning. As Calgary whittled its roster down to 28 players, less injured players Daniel Pribyl and Marek Hrivik, here are eight random thoughts on how they got there and who remains. 1. Gone For Now or Gone for Good? 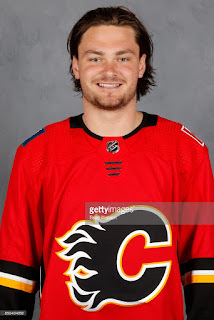 It was back in July, during Stampede Week, on episode 15 of my Flames at 80 Decibels podcast, in which Rob Kerr and I debated the exact scenario that unfolded Tuesday of Poirier being sent down to the minors and whether or not such a move carried a risk of the 2014 first rounder being claimed off waivers by another organization. There are NHL clubs that could be interested. The Canadiens were reportedly interested in Poirier in his draft year, but Calgary took the Montreal native at No. 22. The Habs didn't pick until No. 25. Vegas could always use some young forwards that have the potential to one day put the 'gold' in Golden Knights. Colorado should be interested because they're not very good. Perfect outcome for #Flames. Emile Poirier clears waivers, will go down to AHL and work at getting back to being a promising prospect again. I can't tell you with any certainty if Poirier is going to be an impact NHLer one day. But what I know is he looked like a can't miss prospect two years ago when I ranked him the team's No. 2 prospect behind Sam Bennett. Although his well-documented battle with sobriety cost him a couple of key development years, I'd want to retain this lottery ticket still if I'm the Flames as I believe there still could be some upside with this player. What works in Calgary's favour are a few factors. For one, not only do other teams have to be interested, they have to be prepared to keep him on their NHL roster. You can't claim a player off waivers and then assign him to the minors. With teams already trying to figure out how to pare down their numbers, are they willing to add another body, which means subtracting yet another? Secondly, what is Poirier? At this point, he's still very much an unknown commodity. Vegas, for example, had a free shot at him in the expansion draft and chose not to take him. Not much has changed since. If Poirier isn't ready to step in and help the Flames team today, why would another team think he can help them immediately? So while this feels like it has the makings of being Paul Byron all over again, it isn't Byron. 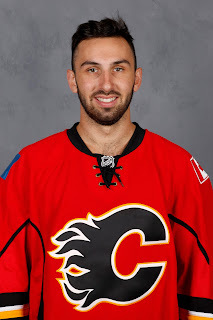 Byron had 138 NHL games on his NHL resume when Calgary tried to slip him through waivers prior to the 2014-15 season, Poirier has just eight. It's a night-and-day difference. 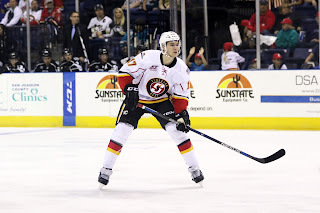 The AHL is the best place for Poirier to be right now so he can take on a prominent role and get his game back on track after a couple of tough years. 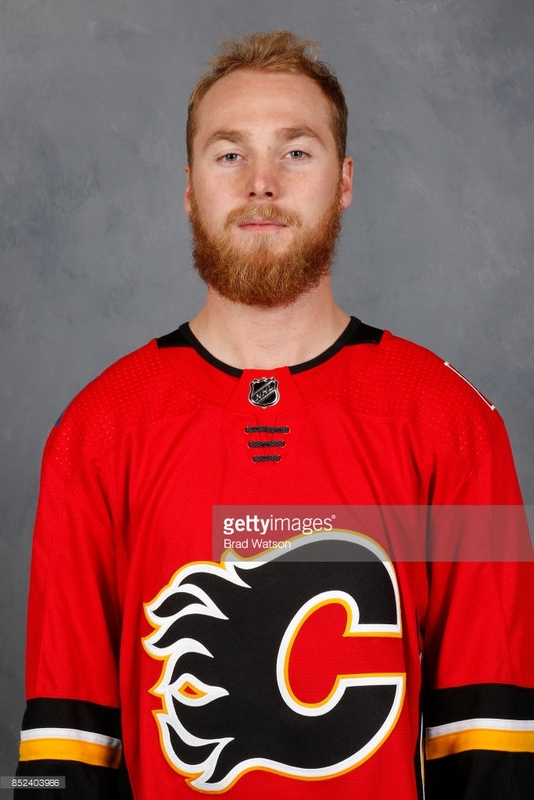 If he gets lands there and I'd guess the odds are pretty good, it will be with the Flames where he can continue to work with Brian McGrattan, now officially on the team in a player development role. From there, and perhaps in a few months, he could be ready for a another crack at the NHL. So far, a case can certainly be made that Rasmus Andersson has been the best of the sixth and seventh D hopefuls. Brett Kulak has struggled in his own end, so has veteran Matt Bartkowski and those are the only two other options left in camp. In this game of Survivor, there are two spots available and three contestants. That said, I'm not convinced for a few reasons that it makes sense for Andersson to be thrust into a third pairing role in the NHL quite yet. For one, he's only 20. His development is far from tapped out. Playing top pairing minutes, taking on top pairing responsibilities in the minors wouldn't be a bad thing. One area he needs to improve in is his pace-of-play and decision-making. It's easier to learn that in the minors. Secondly, a big part of his game is quarterbacking the power play yet he likely wouldn't see any time on the man advantage in Calgary. The lefty-righty thing is another barrier. Coach Glen Gulutzan made it very clear a year ago that he likes his defence to play on their natural side. You'll recall he was not too interested in allowing an established player like TJ Brodie to play his off-side. With that history, it's hard to believe he'd then be receptive to two righties on the third pairing. While it's been a struggle at times for Kulak and Bartkowski this September, especially the latter, I suspect it will ultimately be those two that get those two blueline roster spots. In that scenario, I have Kulak getting the chance to play regularly and the older Bartkowski serving as the dude in the press box. By spotting the use of that third pairing that will also include Michael Stone in favourable situations as best you can, you hope Kulak can settle in and get to how he was playing when he was up last year. As you may recall, he looked solid for quite a while last year to the point where I wondered if he would ever end up going back down.. But one thing we've learned, Andersson is looking like a nice option when injuries on that right side do strike (e.g. Travis Hamonic) and that feels like an inevitability. One look at the PTOs invited to camp and it's clear what the MO was for the Flames this off-season -- find some muscle and snarl to replace the departure of team bodyguard Deryk Engelland, who signed with the Vegas Golden Knights after the expansion draft. 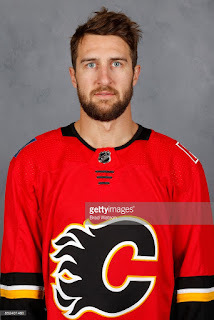 For what it's worth, Tanner Glass, 33, a veteran of 500-plus NHL games with Florida, Vancouver, Winnipeg, Pittsburgh and the NY Rangers, has looked fine in the pre-season and it appears he has a good chance of signing a deal. Glass brings a rambunctious style and could be what the Flames are looking for as a depth forward. He was a fan favourite when he played in New York. Also in the mix up until being released from his PTO on Wednesday morning was Joseph Cramarossa, who Calgary wanted last year when the Ducks were forced to waive him in March after acquiring Patrick Eaves. At that time, he was scooped on waivers by the lower-ranked Vancouver Canucks, who had priority over Calgary, who also had interest. Add in veteran pugilist Luke Gazdic, who is still on a camp on one-year, two-way deal, and at one point you had three guys known more for their fists than their hands. Gazdic is surely bound for Stockton to help provide leadership down there, but might he stick around for a little while with Calgary opening the season with a stretch of bully-like opponents -- at Edmonton, versus Winnipeg, at Anaheim then at Los Angeles? Glass and/or Gazdic on the roster seems like a very real possibility. These final two preseason games could influence how that turns out. It's the build you'd die for if you're an NHL centre -- 6-foot-5 and 210 pounds. Mark Jankowski looks ready to be in the NHL and I'd stick him on my fourth line with zero hesitation. Sure, he'll play far less than if he was on the first line in Stockton but he's 23. He's spent a full season-plus in the AHL. For his development, practicing and playing against NHL teams is the way to go in my view. No, it doesn't mean Bennett needs to move to the wing. No, it doesn't mean Jankowski needs to go to the wing. Just line them up 1-4, four home-grown first round picks up the middle -- Monahan, Backlund, Bennett and Jankowski. With Jankowski on the fourth line and by adding in some PK time, you could get him close to 10-12 minutes and near those same ice times. Start off like that, see how he handles it and then decide where you go from there. Where he starts the season doesn't need to be where he finishes, nor where he is by the start of November. 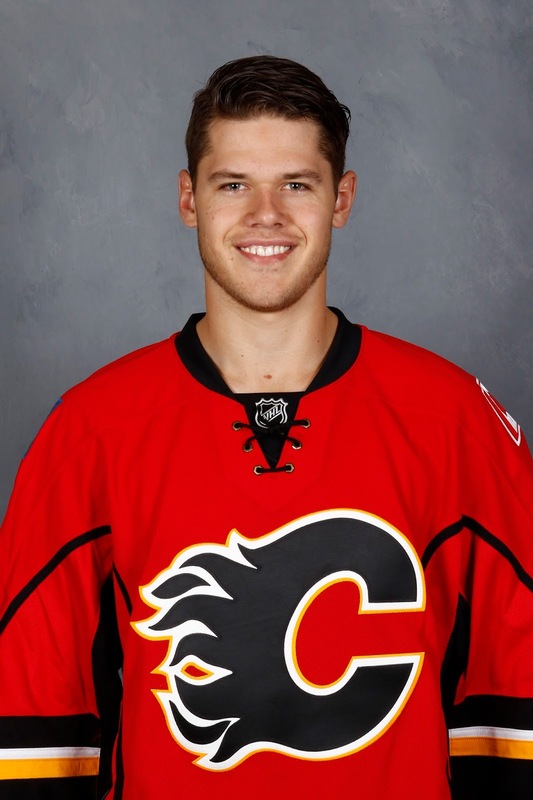 During Calgary's first seven regular season games, Stockton only plays three times. Playing fourth line with the Flames will actually result in more minutes than if he's on the first line with the Heat for those two-and-a-half weeks. If he's not ready, then you demote him to the AHL, no problem. But if he shows he's ready, then you can either continue status quo or even entertain the option of moving him up to third line centre, increasing his minutes, and now you have the luxury of moving Bennett to the wing. You don't decide today, just let it play out. Can't help but think this is it for Tyler Wotherspoon, who entered camp this year with the best opportunity he's ever had to make the team, but simply couldn't seize the opportunity and that's been a familiar script. When the 24-year-old restricted free agent was qualified this off-season, I was admittedly surprised because there was no indication based on his usage the last couple years that he was part of the team's future plans. Yet back he came, like the cat that wouldn't stay away. But it sure looks like a fifth season in the AHL is how it's going to end for the 2011 second rounder. Touted for years as the best-of-the rest when it came to the Flames prospect cupboard on the blueline, he's been passed now by several younger and more dynamic players. 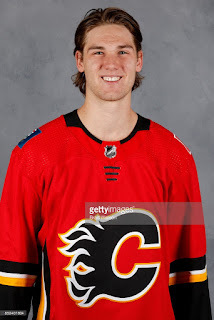 Wotherspoon will be a steady, reliable player for Heat coach Ryan Huska, and maybe he gets in a handful of NHL games on the third pairing if multiple injuries strike, but the writing sure seems to be on the wall for a guy three months older than Dougie Hamilton. As the number of forwards left in camp begins to dwindle, so does the list of winger candidates to play alongside Kris Versteeg and Sam Bennett. If only the Flames had been able to land Patrick Sharp. Getting the rare chance as a first line understudy to be the headliner, Bennett got everyone's imaginations running wild on Friday night when he got a chance to centre Johnny Gaudreau and had a stand-out performance with three assists -- two primary helpers on Gaudreau goals -- a game-high six shots and a dominating 17-8 night at the face-off circle. But the reality was he was only keeping that chair warm for Sean Monahan, at least for now. While there is merit to a Bennett-Gaudreau partnership and spreading out the top nine -- Backlund-Frolik another twosome and Tkachuk-Monahan another possibility, I highly doubt there's any appetite to make that drastic of change with the regular season a week away. Instead, I'd expect what we've been seeing to date other than when Monahan was sidelined for that one game and that's a Gaudreau-Monahan-Ferland first line, the 3M line intact, and then Bennett, Versteeg and <Insert name here> on the third line. It's the identity of that third line winger that has much of Flames nation feeling anxious and uneasy because it almost feels inevitable that it will be whipping boy Troy Brouwer, who would have a difficult time cracking the top six on a beer league team based on fan evaluations. However faint, I offer two beacons of hope for Bennett enthusiasts. First, while it is true that Bennett centred a line with Brouwer on it 31 times last year and while it is true that analytics would suggest it's a pairing that doesn't work, keep in mind that 15 of those games so essentially half, were the first 15 games of the year when the entire team was awful. Remember, they had the worst record in the NHL over that period. Sure, Bennett-Brouwer wasn't working, but nothing was working. I'm not suggesting Brouwer-Bennett is a marriage made in heaven. I prefer Bennett with high-skilled players too but the reality is that won't be the case to start the season. There's only one Gaudreau. Looking at remaining options for the right side, you're looking at Lazar, Brouwer, Hathaway or Freddie Hamilton. It's like showing up at a garage sale at 4 o'clock in the afternoon. Things are really picked over. 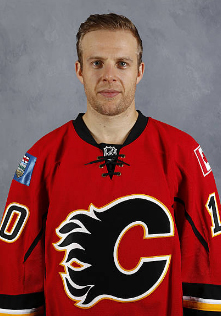 What if you flip Versteeg to the right side? After all, he shoots right so that's easily done. Well then options include Glass or maybe Cramarossa. Hmm. Not sure that's any more appetizing. Short of wholesale line juggling in the top six, which may happen eventually but seem unlikely to start, brace yourself for more Brouwer with Bennett. On that note, also remember that Brouwer averaged 20 goals/season for seven years prior to last season. Were those seven years the anomaly or was last year's 13 goals. Let's see how year 2 goes for the team's alternate captain. The other ray of sunshine peeking through the clouds is the play of Jankowski. 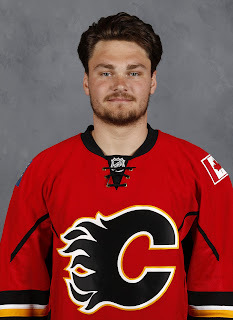 Should Jankowski make the team as the fourth line centre and should he be able to establish himself as an NHL-ready centre, as mentioned earlier that gives the Flames the luxury of moving Bennett to the wing and let's be honest, that solves everything. Then, perhaps it's Bennett on the top line with Monahan and Gaudreau. Or maybe you slide him alongside Mikael Backlund and Michael Frolik with Tkachuk playing alongside Jankowski and Versteeg. Or, you could go Bennett-Jankowski-Versteeg. Arguably, all of those work better than the current set-up so for Bennett fans, you should be cheering for Jankowski. The presence of Jon Gillies may have some of you thinking that maybe he has a chance to beat out Eddie Lack for the back-up job. Well, stop thinking such silliness because there is zero chance of that happening. Gillies is still in Calgary so somebody gets to skip Thursday's trip to Vancouver. He is basically an insurance piece at this point. Despite giving up eight goals in his game-and-a-half, Lack is a lock for the back-up job behind Mike Smith at least to start the season. Both games -- versus Connor McDavid and the Oilers and versus Patrik Laine and the Jets -- were on the road. Both games were against far superior line-ups than what the Flames suited up. In fact, each game featured only four or five players expected to be in Calgary's opening night line-up. Lack has yet to play a single minute behind Calgary's vaunted top four on defence. Instead, in his starts he's seen a steady dose of Stone (x2), Kulak (x2), Wotherspoon (x2), Bartkowski (x2) and Andersson (x2) in front of him. The inexperienced Josh Healy and Juuso Valimaki also played one game each. So take that into consideration and good luck with that. Five of the eight goals he's given up have been on the power play and I'll point out, that was with 90 percent of the Flames regular penalty killers watching the game on TV back in Calgary. Even-strength save percentage is generally viewed as the preferred stat when evaluating goaltenders and Lack has put up a respectable .923 (stopped 36 of 39 shots) so far. For context, that figure would have ranked him 15th in the NHL last season. While he hasn't proven he's back to being Canucks' Lack as opposed to Canes' Lack, there's no reason to panic quite yet. 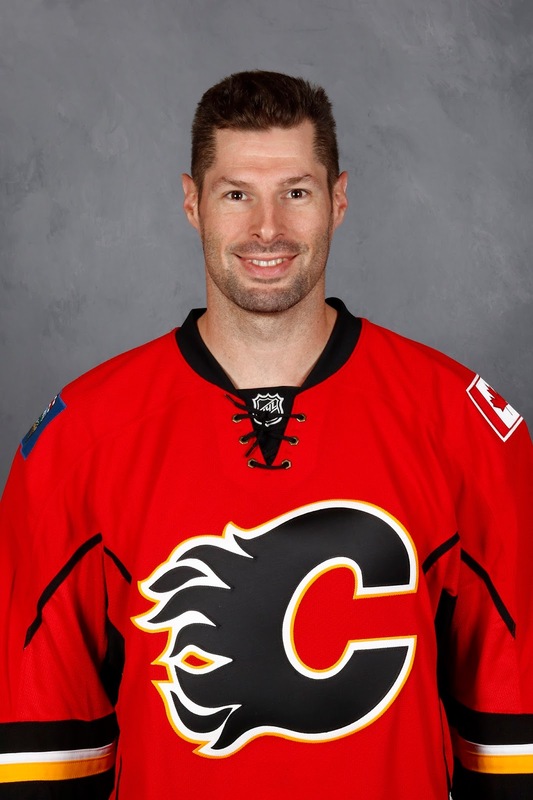 Sure, seeing Gillies in a Flames uniform is possible, but I'd suggest it would be December at the earliest. 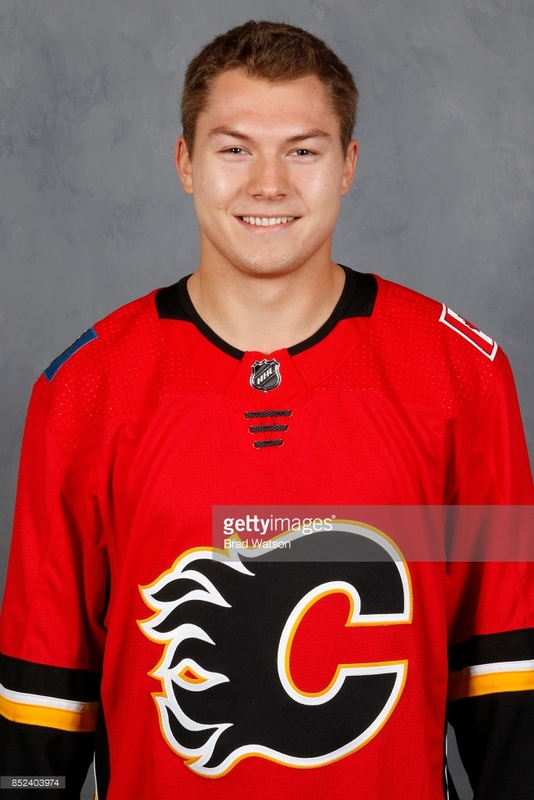 Before that happens, Lack will get plenty of opportunity to show that with NHL defencemen in front of him as well as NHL forwards -- an improvement on the support he's had so far, he is the capable goaltender that Gulutzan is familiar with from when he was on the west coast. One of the names hanging around despite some uninspiring play is Curtis Lazar and as a warning, don't expect that to change -- the hanging around part, that is. 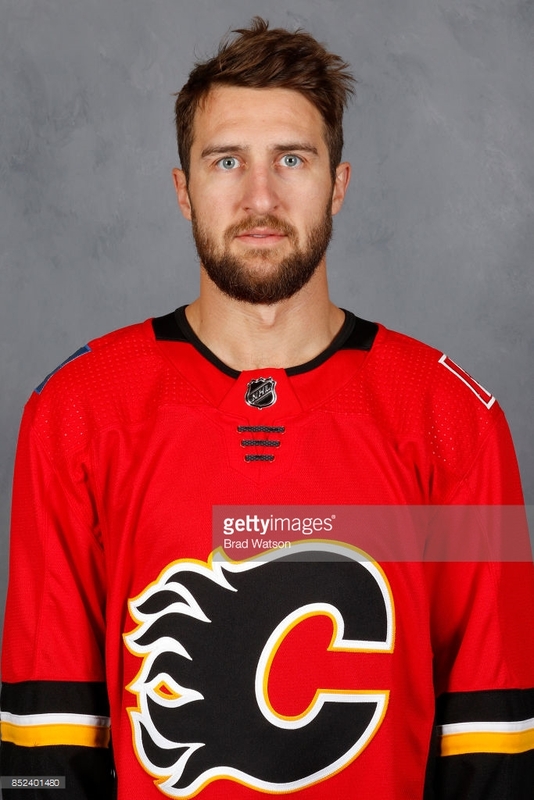 The reason I fully expect him to be on the opening-night roster is it was less than three months ago that Calgary handed him a two-year, one-way, $1.9 million deal. 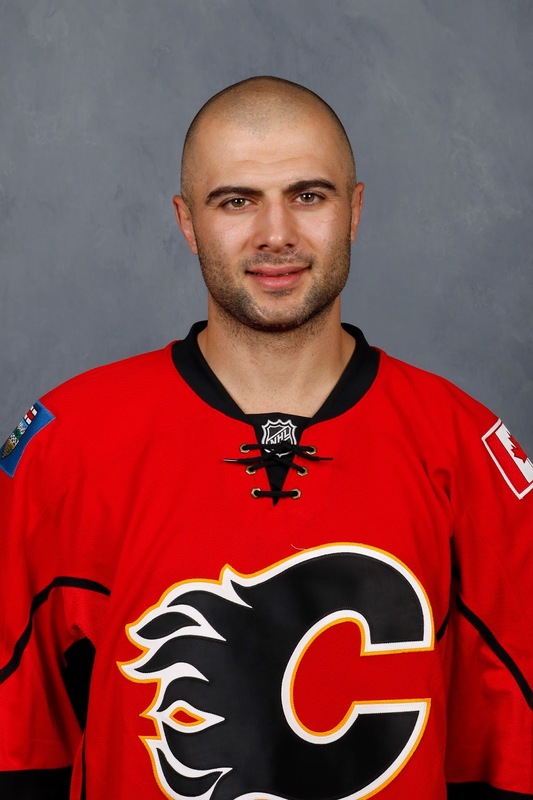 The Flames traded a second round pick to Ottawa last March to acquire the 2013 first round pick because they saw a player with untapped upside. Untapped or non-existent is what is yet to be determined. Rushed to the NHL too early one could argue in Ottawa, his time with the Senators did not go well -- 13 goals in 176 games while saddled on the fourth line and playing with the likes of Chris Neil. That said, fourth line might be a best-case scenario for Lazar, who has yet to seize his opportunity with the Flames despite a third line RW job lying in wait for him. Ever since he was brought in at last year's trade deadline, the focus was on this season. Lazar did play four regular season games last year and he got into game 4 in the playoffs but the focus was fully on 2017-18. Well, so far, there's been a lot of skating but little else accomplished. With the ink not yet dry on that two-year contract, he's not a guy heading to the minors but it's a very real possibility that he could open the season in the Rogers Place press box and that would be a disappointing outcome for the club. For me, more time is still required before passing final judgment. It's been a very uneven pre-season for Calgary and Lazar is not the only player that has been noticeably unproductive. But patience in the fan base has already run out and when the games matter, and the contributions remain the same -- that's when the pressure is really going to build. If he can get some positive results and start gaining some traction, perhaps everything changes, but with every passing day, that looks like a bigger, and bigger 'if'. After devouring the appetizer, Rasmus Andersson can't wait for the main course. It's an analogy, a reference to his four-week stay with Calgary late last season and his desire to make the NHL for good next time. Fifteen months ago, it wasn't an analogy, it was his suppertime routine. 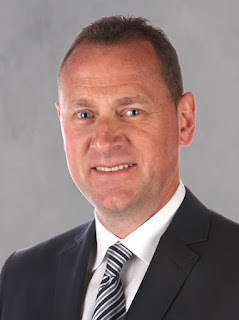 To refresh your memory, Flames general manager Brad Treliving was none too pleased with Andersson's fitness level at last year's development camp. The result was a public scolding for the 6-foot-0 defenceman. Last year at training camp, his conditioning was a bit better. This year, it was much better. Noticeably leaner, Andersson checked in earlier this month at around 210 pounds, down considerably from where he was at in July 2016. "It feels good," says Andersson. "I feel like I have a lot of jump. It's noticeable." Last year in Stockton in his first year of pro, he spent a lot of time with Alan Selby, the Heat's strength and conditioning coach. He also has two strength coaches in Sweden he works with in the off-season. "You just have to change the way you eat," says Andersson, who turns 21 in October. "Obviously it's not easy, but it's a lifestyle and it feels better." When Calgary's rookies arrived in town to do their fitness testing 10 days ago, Treliving spoke to the improvements Andersson has made. At the conclusion of rookie camp, Stockton coach Ryan Huska acknowledged how far Andersson has come in a year. "They often don't know how to take care of themselves when they first start and he's probably a good example of that," said Huska. "He learned some tough lessons over the course of the year and I think he did a good job over the summer getting down to a level our development group wanted him at. "Now, it's a matter of staying there, continuing to improve and making sure he's stronger with his overall game. Now the strength comes into play, now the overall conditioning comes into play, and these are all the things that he has to be committed to." The purpose of an appetizer is to stimulate or increase your appetite by getting the juices flowing inside your stomach. While Andersson only dressed for one game while he was with the Flames from March 11 through April 9, the whole experience left him wanting more. Much more. "Don't get me wrong, we have a good set-up in Stockton -- good travel and a nice rink, but once you come up to the NHL, the bus picks you up when you leave your flight, you don't have to go through any terminals. Bus takes you all the way to the hotel. You stay in one of the nicest hotels in town. "It's a completely different lifestyle. Your paycheque is way different, the flights, everything is different. So that motivates you even more that you want to be up there full time. You don't want to be up and down, or just up a few times." Those lasting memories, that entire experience, it's what gives you that little extra boost in the off-season to help you push through a gruelling workout. "When I got home this summer, I said to myself, I don't want to be in the AHL. The NHL is where I want to be," says Andersson. "I think I have a better shot this year than last year because I'm in better shape. I've just got to do my thing and play my game and we'll see how far it goes." Main camp got underway at the Saddledome this weekend. As part of Team 'C', Andersson has been paired with 2017 first rounder Juuso Valimaki. The two also skated together in Penticton with Andersson picking up three primary assists in three games. Andersson chuckles as he recounts the whirlwind scramble last year when he got the call he was joining the Flames. "Me and Andrew (Mangiapane) just had dinner. 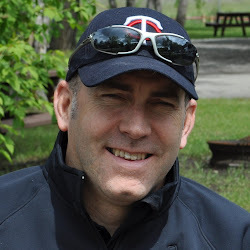 We watched the Calgary-Montreal game and I saw two defencemen go down and I remember, he told me, be ready if they call you now, but I'm like, 'I don't think they'll call me.'" Turns out, they were about to. Both Michael Stone and Dougie Hamilton had been injured against the Canadiens. Stone was going to be out for a while and Hamilton's status was not yet known. "It was about 10:30 p.m. and I was just about to jump in the shower and go to bed when (Flames assistant GM) Brad Pascall called me and said I was going to be picked up in 20 minutes." That first NHL call-up for a young player is a big deal, but he had no time to soak up the moment as his ride was on the way to whisk him away to the San Francisco airport. "How long am I going to be there? How much am I going to bring? You just start thinking about everything," Andersson said. Adding an additional layer of complexity to the mad scramble, he was in the middle of doing his laundry. So he grabbed a garbage bag and started chucking in his clothes -- shirts, pants, socks, underwear, all of it soaking wet. So there he stood, waiting for his ride (Adam Berger, Team Services) to show up, with his suit bag and a garbage bag. "Luckily it was late at night, nobody really saw me," says Andersson with a smile. Once he got to the San Francisco airport hotel, he opened up the garbage bag and hung up everything to dry. He flew to Calgary first thing the next morning, then headed straight over to the Flames private air terminal where he chartered with the team to Winnipeg. Meanwhile, while all that was going on, another fire drill was taking place back in Sweden. "It was 6 in the morning back home so I didn't really want to call my parents yet, but while we were driving to the airport, Adam told me, just call them, wake them up. So I called my mother and she was freaking out because I thought I was going to play," Andersson says. "They told me to be ready to play. They weren't sure if Dougie was going to play, so my mom booked her flight at 7 a.m. and flew out at noon." 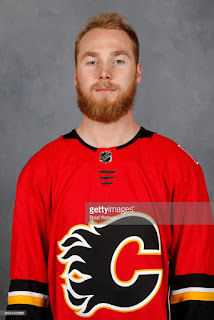 As the story goes, Dennis Wideman was inserted for Stone and Hamilton was ruled good-to-go (and went out and assisted on all three goals in Calgary's 3-0 win) so after all that, Andersson ended up a healthy scratch -- with his travel-weary Mom in MTS Centre along with him. "But I still got to spend a lot of time with my mom and I hadn't seen her in 4-5 months so that was nice," Andersson says. After five or six days, his mom flew home, but Andersson wasn't jetting anywhere quite yet. "I did not get frustrated at all. I just took everything in," recalls Andersson. "You just get to the rink every day and try to make an impression in practice." Given Calgary's position in the standings, he admits he wasn't expecting to play either. "I had no expectations at all that they were going to change the line-up because that wouldn't be fair to the other guys who have been playing the whole year and me as a younger guy, coming up and having not played a game yet," he says. "I was just up there in case anything happened and if I did get the shot, I would have been ready." Being ready included getting fully geared up and taking the warm-up before all but a couple of the games, just in case. It also involved skating every day, which was a lonely experience. "Because we played every other day, there wasn't any real team practices. 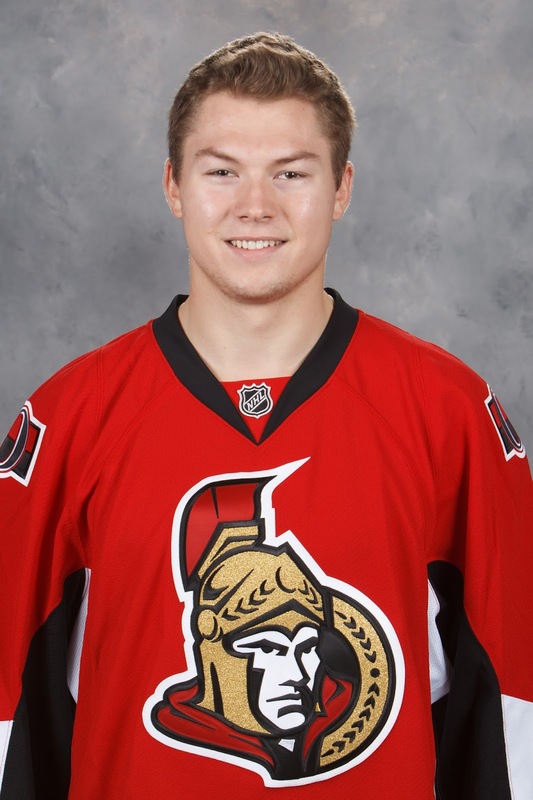 So it was basically me, (Curtis) Lazar and Freddie Hamilton who were on the ice every day." Getting to visit with one of his best friends -- fellow Swede Andre Burakovsky -- when the team was in Washington, was another highlight. The game he finally drew into was in San Jose at the SAP Center, a familiar building for Andersson as it's also home to the AHL's San Jose Barracudas, a team Stockton had played numerous times that year already. "When I was sitting in the dressing room and I just looked around, I was pretty calm before the game, which surprised me a little bit," said Andersson. "But I had been there before, I knew the building. "But after the national anthem, you see the fans, how fired up they were. That's when I realized that damn, I've got to be ready. It's a moment I'll never forget." While Andersson had a great rookie season in Stockton with 22 points (3 goals, 19 assists) in 54 games while going a plus-13, Huska says he still has work to do. "Consistency is one thing. Every day he needs to be on point," Huska said. "When you look at his overall game, he thinks the game very well. He needs to do things a little bit quicker. "He's always going to be a guy that plays the game with composure and poise, that's what he is and that's one of his strengths as a player. He needs to speed up his decision-making sometimes with the puck and work on a little bit more straight-line play." Barring an injury to someone on the right side -- Hamilton, newcomer Travis Hamonic, or the re-inked Michael Stone -- Andersson will have to wait his turn. Until that main course is served and maybe it's not until 2018-19 or later that he has gets an opportunity to crack the line-up for good, he'll have to be satisfied with nibbling on the occasional appetizer in the form of any call-ups that happen throughout the season. "I've just got to go out there and show my best side every day and take it day-by-day and see how far it goes." As the Flames No. 3 prospect according to my latest rankings and the top up-and-coming blueliner, seems it's only a matter of time before the main course is served. With maybe even a dessert to follow. Of course, it would be a 'healthy choice' dessert'. 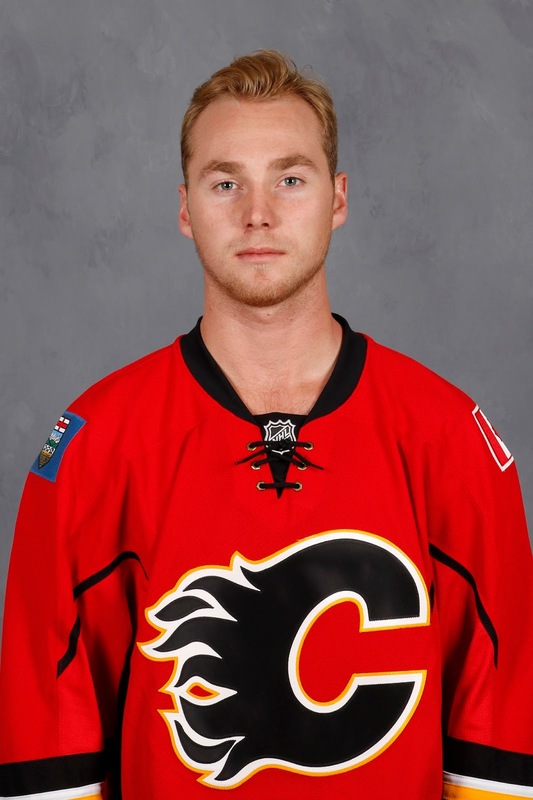 This is, after all, the new and improved, and leaner, Rasmus Andersson.